Day two of Mercedes-Benz Fashion Week Tokyo is finished, and by the time this is posted day three will be well on the way. 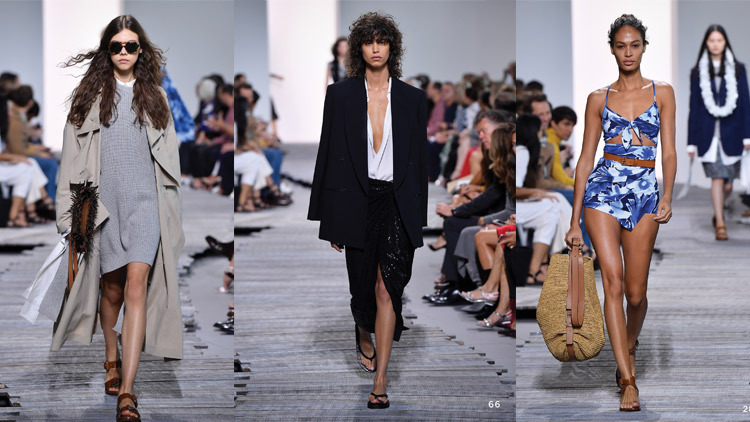 Time flies when you’re having fun, and even more so when you’re at fashion week. Day two was as eventful as the last, and started with one of Tokyo Fashion Week’s most anticipated shows: A Degree Fahrenheit. A Degree Fahrenheit has built a reputation for itself for its impeccable tailoring and structured silhouettes, which makes sense considering that the designer––Yu Amatsu––used to be a patternmaker for Marc Jacobs and is a two-time Gen Art International Design Competition winner. 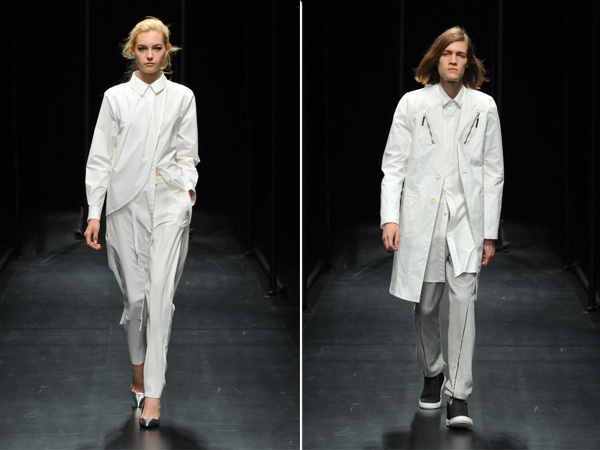 The collection featured both men’s wear and women’s wear pieces, but as a whole felt very androgynous and malleable. It was easy to imagine the pieces being interchangeable for men and women. The models walked to moody, minimal electronic music that meshed perfectly with the clothing, creating a symbiotic presentation. Unfortunately, my phone died halfway through the show so I wasn’t able to take any pictures. Note to everyone who plans to attend fashion week: always pack a charger! Next stop was Patchy Cake Eater’s Autumn Winter 2015-16 runway. Patchy Cake Eater is designed by Shigeki Morino and was first launched in 2012. According to the designer, Patchy Cake Eater means, “a ‘ladies’ man with patches,” and the runway definitely didn’t disappoint this lady. 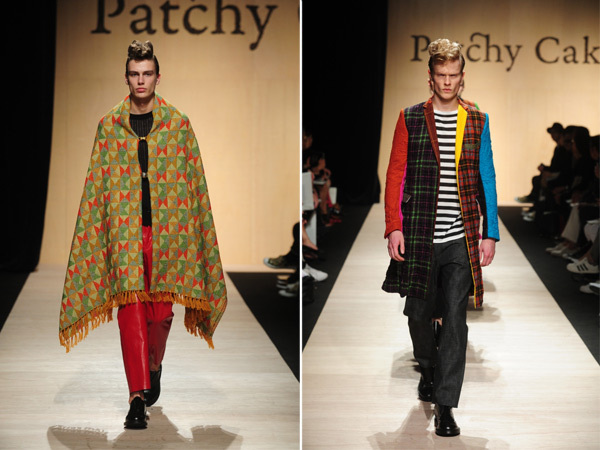 Patchworked longline coats and printed ponchos gave way to dapper suits with tailored jackets and ankle grazing trousers. 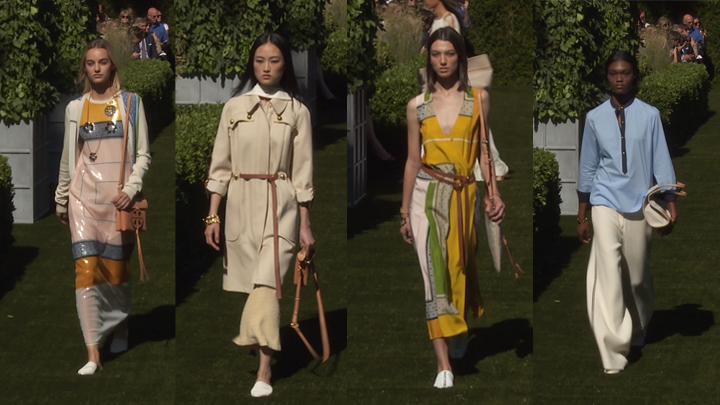 The collection gave a nod to the classics while still remaining contemporary and fun. Kidill was the last stop of day two and was definitely a crowd favorite. The accessories were whimsical and over-the-top in the best way possible, and were paired with garments that could be worn right off the runway. Stripes of all shapes and sizes were the favored prints and were worn with multicolored denim. 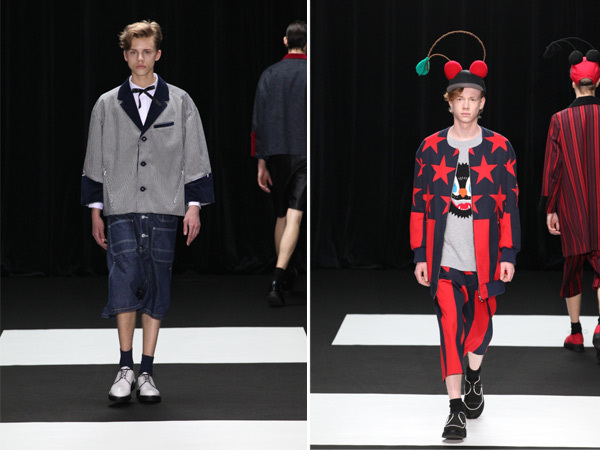 Designer of Kidill, Hiroaki Sueyasu, also took home the DHL Designer Award. 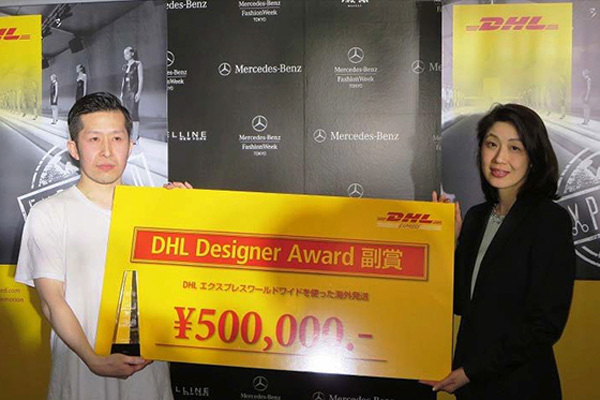 The DHL Designer award rewards new and emerging talent every year, and Sueyasu was picked, “based on creativity and design, and the potential to go global,” and was awarded 500,000 Japanese yen. It was the perfect finish to his stellar runway show.